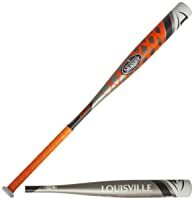 For a long time, I’ve been asking myself is it possible to find a good bat that doesn’t cost an arm and a leg? It’s always seemed to me like you have to spend a fortune if you want a bat that will suit you best, so, I decided to find out whether that is true or not. After doing my research, I’m happy to say that yes, you can get a great bat at the very reasonable price. In fact, the high price doesn’t always mean you get a better quality because there are other crucial factors such as which brand you prefer and what do you need your bat for (are you planning to play in High school play, are you a contact or power hitter, etc.). So, this article is about top 5 inexpensive baseball bats that you will be completely satisfied with. Like I mentioned earlier, what really matter is which brand you choose, because you don’t get the same quality and price with top brands and with those that aren’t among the best ones. So, when you’re choosing the bat, the best thing you can do is to pick a famous brand, because they do have bats with various prices and you can buy the one that doesn’t exceed your budget limit. Plus, you don’t have to worry whether the bat will serve the purpose or not, because they have been used by the players all over the world thus they are worth every penny. 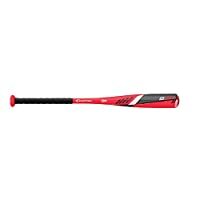 In case your son needs a bat that will have a great impact on his game so he can be more confident on that field, Easton brings exactly what you’ve been looking for. 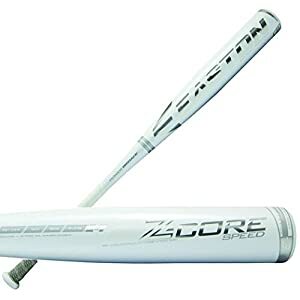 It’s time for your son to get to another level and the fantastic Easton ZCORE will enable him to do that. 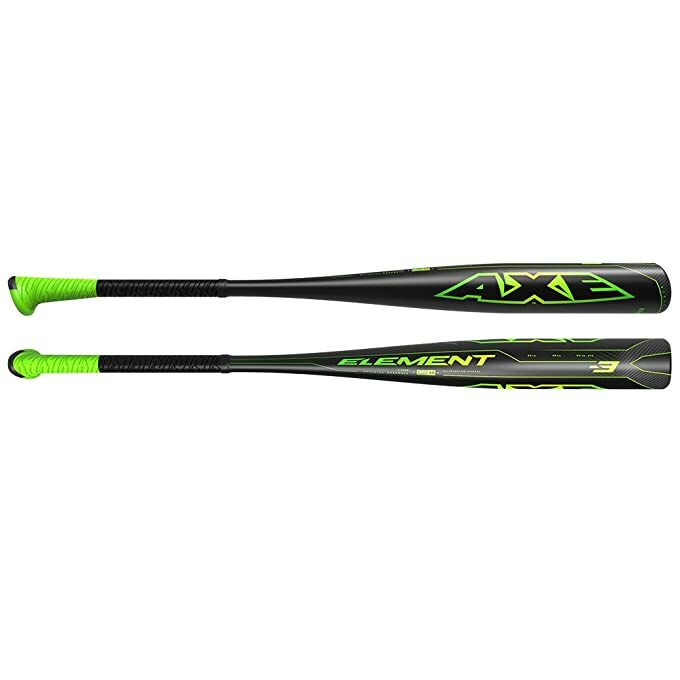 What makes this bat stands out is definitely a one-piece Aluminum construction that offers a tremendous pop and hot out of the wrapper performance so your son can use it in the game as soon as he takes that wrapper off. Since this bat has a balanced swing weight and an extended barrel design, the swing speed is significantly increased while the reach throughout the zone is extended so your son can get the best results. The Tapered handle makes sure the players don’t have uncomfortable feel while hitting the ball so they can feel more powerful and confident in the game. Thanks to the ZCORE Internal Technology, your son will have more power while at the same time, he will be able to control that bat easily. The ZCORE Technology really contributes to a better performance of a bat so it isn’t a surprise why some of best contact hitters choose this bat. As you can see, this bat is BBCOR certified which means players can use it in both High School and Collegiate play. Now, there you have it- a full description of bat’s amazing features that will make your son so happy and confident. Moreover, he will be eager to work hard and to give his best at every game. Some players said that graphics and paint aren’t of the best quality, but it’s not like that affect the overall quality of the bat. Louisville Slugger- the synonym for best bats in baseball, once again creates a masterpiece that simply takes the players’ breath away. Every bat lover knows that Louisville Slugger bats offer only the best quality and performance and thus they stay loyal to this remarkable brand. 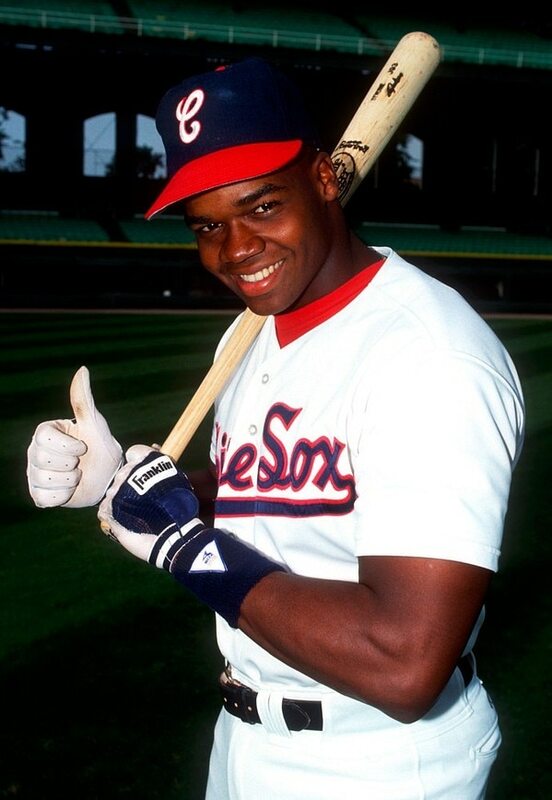 Here we have Omaha- a bat that is designed to make you famous. If anyone would ask us to describe this bat in one word, we would say- Durability. It seems that every single feature of Omaha contributes to its durability so you get a reliable bat that will be your best friend for a long, long time. The Alloy construction makes sure that you get a massive sweet spot and a stiff feel upon the contact, so you can hit that ball with a lot of energy. As you already know, if you don’t have control over the bat, you’re wasting your time. However, with a balanced swing weight, you will certainly have a lot of control thus you will feel pretty confident when stepping up to the plate. The part that also contributes to your confidence is comfort and thanks to Custom Lizard Skin Grip, you get that because the negative vibration is significantly reduced so you get a great feel upon the contact. With all these features, – 2 5/8 Inch Barrel Diameter and -3 Length to Weight Ratio, Omaha is ready to perform in High School and Collegiate play. For those players who prefer more flexibility in the barrel, this bat isn’t the right choice since it offers a stiffer feel upon the contact. If you’re looking for a long lasting bat with a lot of pop and a remarkable swing speed, stop searching right now, because here we have Easton S500- the fearless bat that will impress every player on the field. Like always, Easton keeps pushing the limits with its creativity and dedication to players’ desires. This beauty has the best performance thanks to its amazing features such as increased swing speed, lightweight, optimized barrel flex, and a balanced swing weight. This time, Easton came up with incredible 7050 Aircraft Alloy that makes sure that barrel flex is optimized while the swing speed is greatly increased so you have to be prepared for some crazy hits that will definitely blow the ball away. 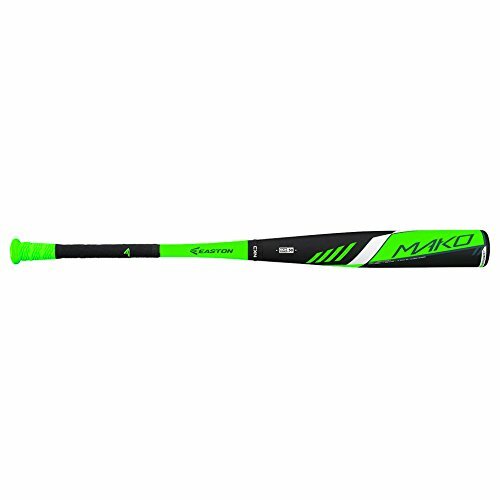 What makes this bat stands out is both lightweight and a balanced swing weight so you can enjoy the control and give all you have each time you hit the ball. 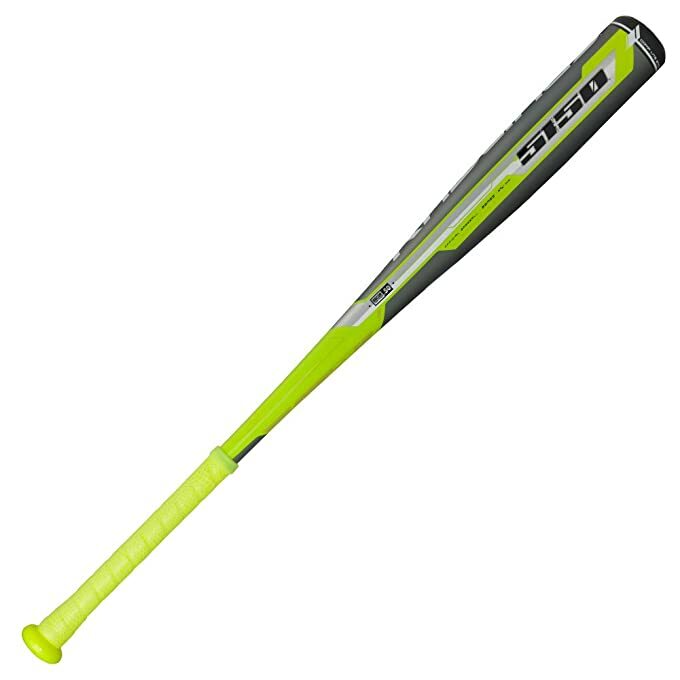 In case you are worried whether Easton S500 gives the comfort or not, you can relax because the 31/32 Inch Tapered Handle with All Sports grip gives all the comfort you need so you can concentrate on those swings. 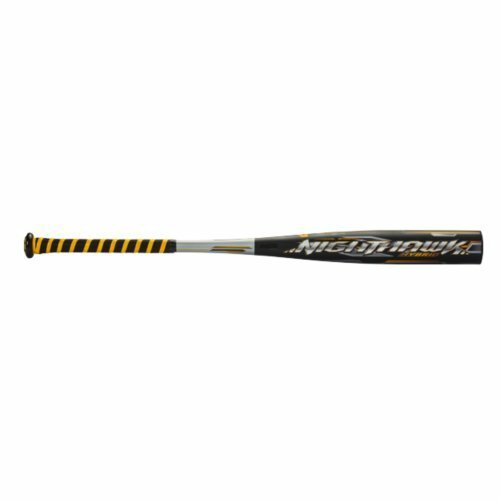 Whether you are in High School or Collegiate play you can play with this bat, because it’s BBCOR certified. 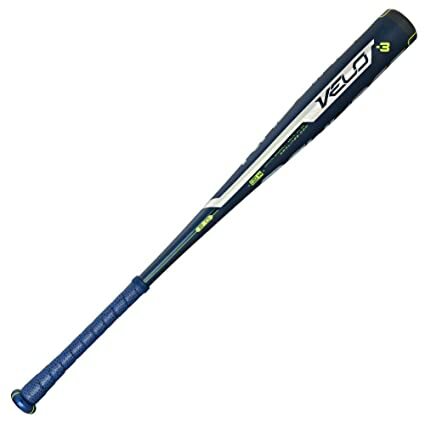 So, if you want to be fearless on that field and to swing faster than ever, don’t waste your time on other average bats, because, this beauty is your best bet if you like winning. Some of the players find the grip uncomfortable but comparing to all those great features, that problem doesn’t seem so big. Believe it or not, finding a bat that offers durability, power, and great swing speed at the reasonable price, is actually a piece of cake when you have the experts to help you. So, in case you’re one of those players who are on a budget or completely new to the world of baseball, you’ll be happy to hear that we have a perfect bat for your needs and the one that your wallet will certainly love. 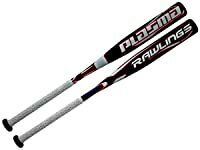 Rawlings bats are very popular because of its handy features that lead to the solid performance of the bat. 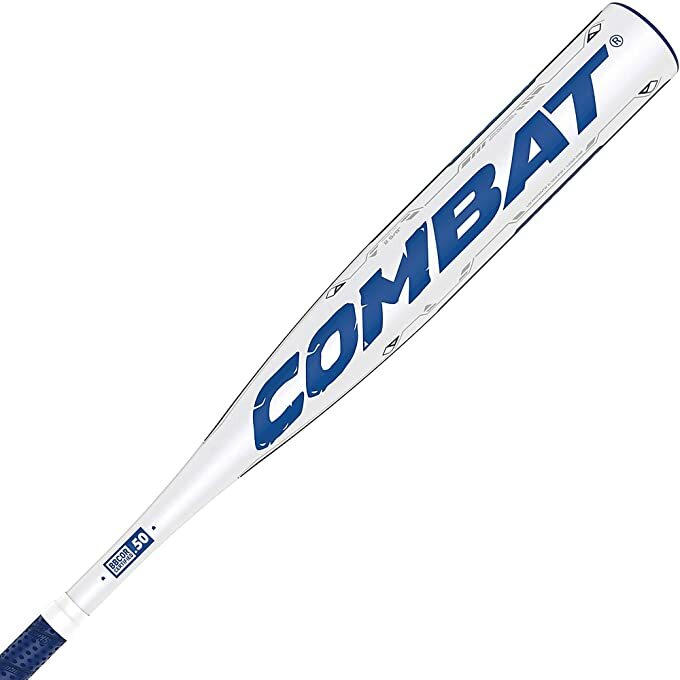 The schools which use these bats realizes that being on the top and staying there, is only possible if you have a right bat. So, here we have Prodigy- a bat that shows how passion and dedication always give great results. 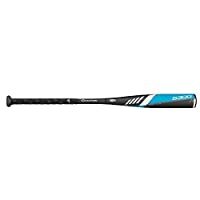 Because of the balanced swing weight, this bat is a perfect choice if you need more control while hitting the ball so you can stay focused on the game. 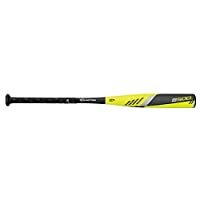 That Prodigy offers great durability and solid performance proves high-strength aerospace-grade alloy used for creating the bat. The stiff handle provides the amazing feel and you’ll definitely feel like you have a complete control each time you swing. What we love is the Extended Sweet Spot Technology, thanks to which you can hit the ball easily. Furthermore, the Premium Synthetic Leather Grip makes sure that you get all the comfort you possibly can so the only thing left for you to do is to swing the fastest you can. Unfortunately, with this bat, you’ll feel a slight vibration when hitting the ball. Are you ready for something truly different? Mizuno has always been the expert in creating the high-quality equipment in order to contribute to a better performance of players. So, this time, Mizuno exceeds the limits and gives us something truly unique that no one else could come up with. 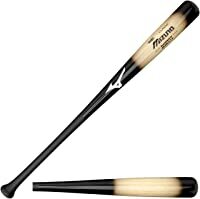 Here we have Mizuno MAXCOR – a bat that brings the baseball to another level. Without a doubt, this beauty is created for those players who like challenges and don’t have a problem with being powerful and confident on the field. What is special about this bat is the Patent-Pending Design, made for creating more backspin which results in carrying the ball further. So, it’s time for you to improve your hitting, because, in order to hit the ball further, you have to hit it in the right way. This bat differs from others on our list because of the swing weight- this one is end loaded. That means, that it’s perfect for putting all your energy in those hits so you can send that ball pretty far. As comfort is concerned, Digi-Grip makes sure that you get a better feel while Dynamic Damper absorbs negative vibration and sting. With MAXCOR also get amazing pop and great trampoline effect so hitting the ball will bring you a lot of fun. 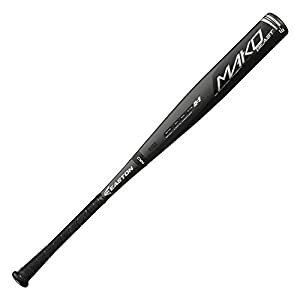 With all these features and BBCOR stamp, this bat is very popular among power hitters that look for ways to improve their game and to be among the best ones. Since the bat is end loaded, it isn’t recommended for hitters that can’t handle the extra weight. 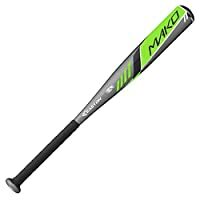 How Do I Know Which Bat is The Best for Me? Obviously, choosing the right bat for you or your kids requires a little bit of researching, so you can better understand what your needs are. Once you have in mind what do you need, you’re ready to go the store and buy a bat with confidence. So, here are some features that you should be aware of when buying the bat. First and foremost, you have to know your height and weight, so look in the sizing chart here and you’ll find what length of the bat would be most suitable for you. Needless to say, having the bat that will suit you perfectly means that you can control it and handle it without a problem. Secondly, you have to make sure that your bat is approved if you want to play in High School or Collegiate Play and that means that BBCOR stamp is a must. Next thing that matters is what type of a player you are- a power hitter that is looking for power and hard hits or a contact hitter who needs a bat that swings easily. In case you’re a power hitter you should choose an end loaded bat since the extra weight on the bat is perfect for powerful hits and for sending the ball pretty far. However, if you’re a player who looks for a greater swing speed and a lighter swing, a balanced bat would be the best choice. Being a balanced means that you get a better control over the barrel so you can focus on your game. The last thing you should pay attention to is which type of bat (that refers to a construction of the bat) you need- aluminum, composite or hybrid because they have different features. On one hand, Aluminum and Hybrid bats don’t require any break-in period which means they are hot right out of the wrapper. On the other hand, you have composite bats that usually require around 200 hits before they break in. When the sweet spot is concerned- with aluminum bats you get the smallest sweet spot while Composite ones have a larger sweet spot and a lot of pop. When taking the negative vibration and sting into account, Aluminum bats have more vibration and sting while with Composite and Hybrid bats, vibration is significantly reduced and you get less sting. 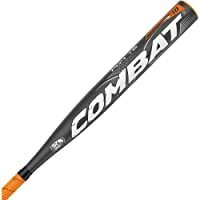 So there you have it- a list of Top 5 Cheap Baseball Bats and some tips about buying the right bat for you. Keep in mind that you choose the bat according to your needs and when you’re buying, choose the trusted brand so you’re sure that you get a high-quality bat. Now, it’s time for you to get that bat and to enjoy the game!